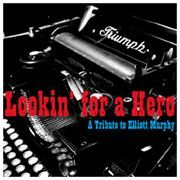 Looking for a hero – a Tribute to Elliott Murphy | paini. Written by: Elliott Murphy, Ralph Shuckett, Ernie Brooks. Lorenzo Bertocchini (vocals, acoustic guitar, harmonica), Alessandro Grisostolo (pedal steel guitar), Luca Fraula (piano), Ivan Santini (bass), Johannes Bickler (drums), Stefano “Illo” Failla (backing vocals), Kevin Montgomery (backing vocals), Jennifer Sofia (backing vocals). Mike Snyder (vocals), Lorenzo Bertocchini (acoustic guitar, percussion, harmonica), Giovanni Pasquetti (bass), Dario Paini (saxophone). Me and my two kids always sing this song on long car trips. Seems to me it’s a great “story” song and the ending nicely sneaks up on you. This is supposed to be the “rollicking roadhouse version”, so feel free to add clinking glasses and unintelligeable shouting… Bobby Keys, eat your heart out!